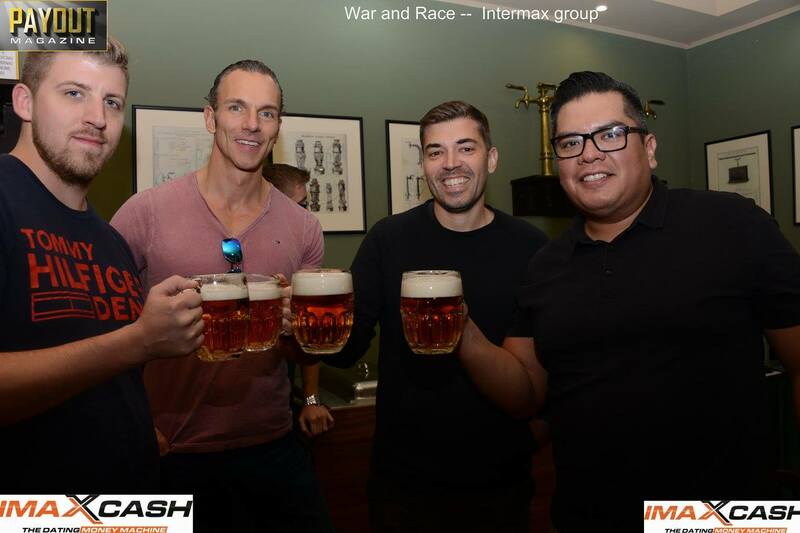 Pilsen, Czech Republic – the city best known as the home of the world’s famous Pilsner Urquell beer again proved to be an excellent location for the 12th anniversary “War and Race” industry party on September 17th and 18th, hosted and sponsored by InterMaxGroup. As it has become a tradition already, the attendees of The European Summit in Prague were able to take a shuttle to Pilsen on Sunday September 17th for two days full of hospitality and leisure activities. The metropole of Pilsner beer was yet again able to welcome a diverse line up of online professionals from all around the world. The program started on Friday afternoon with an opportunity to visit the world famous Pilsner Urquell brewery and to learn first- hand how to properly tap beer, including a plentiful of tasting. For those preferring to test their combat skills a paintball session was available. The evening program continued with a sponsored dinner in a medieval restaurant with a trademark menu and a wealth of local beer with it. Including a surprise in the form of an elite magician turning up and putting on a show where even the most sceptical were left in the dark about what they just witnessed. After leaving the dinner venue, a sponsored bar in a night club was arranged to satisfy those for whom the night was still young. Monday’s program was dedicated to the ever more popular carting tournament. The local carting arena turned into an epitome of hospitality with an outmost rich barbecue station and a sponsored bar. While the cart racing was in full swing, the rest of the attendees had the most convenient opportunity to chat with their old and new friends about anything business or non-business alike. 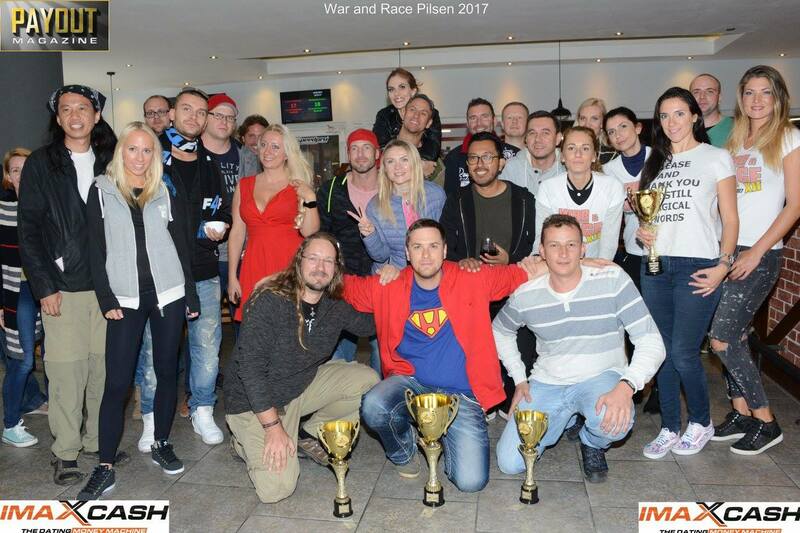 The organizers were eventually also able to decorate the cart racing champion – a former imaXcash employee turned affiliate Tomas, representing the locals. Monday’s late afternoon shuttle back to Prague concluded the party’s official program. 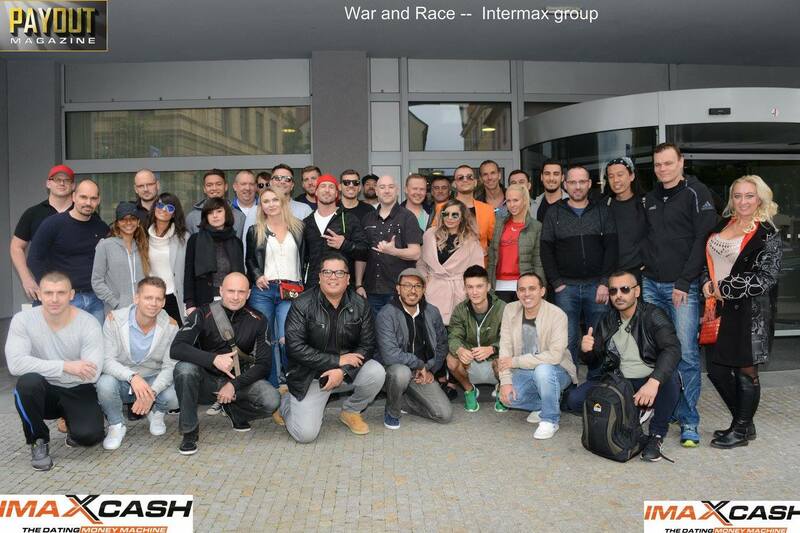 This year’s War and Race has been already the 12th consecutive annual party weekend organized and sponsored by InterMaxGroup. An expert force in monetizing online dating traffic, now present in 21 countries, including the German speaking and many under-monetized Central and Eastern European markets. The event marked the most successful year for the Company yet, with more than 13 million new registered users across the portfolio of their state of art online dating sites, available for promotion at the Company’s affiliate sponsor program imaXcash. The organizers are already looking forward to make it thirteen next year. InterMaxGroup AG. The Company, founded in 1996, based in Switzerland, is a European leader in online dating. With a wide offer of precisely targeted products now available in 21 countries, including high converting options for the German speaking market and many often under-monetized regions in Central and Eastern Europe under its affiliate sponsor program imaXcash. In addition, the Company also runs the email marketing service MailValueProfits and the affiliate network DaoOfLeads.